#NEWGLOBALMATRIARCHY continues in Los Angeles with a new series of collaborative performance, art, and poetry nights. The first took place at Los Angeles Valley College Art Gallery as part of MAIDEN LA. The night featured women/trans/queer people of color exploring ritual, representation, identity, and the body through participatory art making, performance art, music, and poetry. 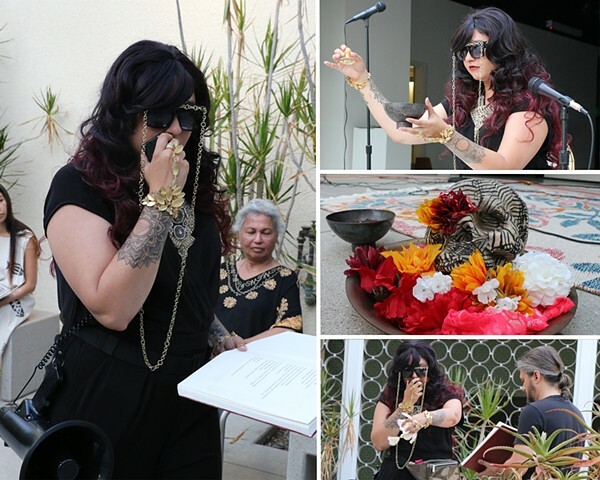 This composite image documents the opening ritual where I performed as the Goddess Lakshmi enacting her "Ritual for Decolonization."